The Digital Research Library of Illinois History Journal™: The History of Charles "Carl" Frederick Günther, known as "The Candy Man" and "The P. T. Barnum of Chicago." The History of Charles "Carl" Frederick Günther, known as "The Candy Man" and "The P. T. Barnum of Chicago." 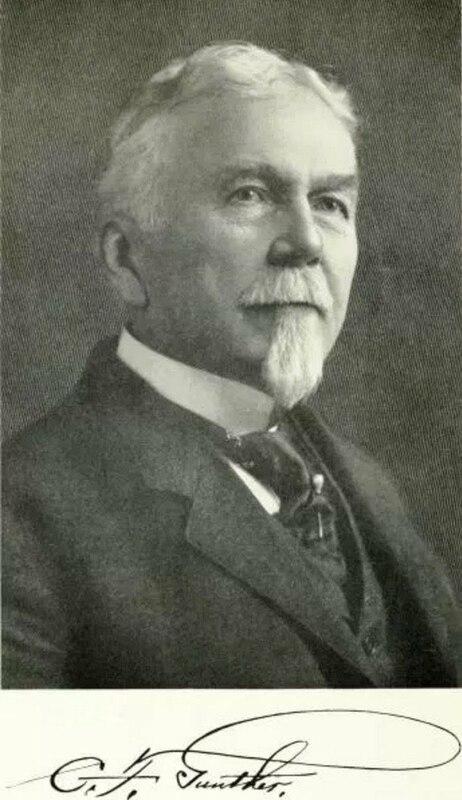 Charles "Carl" Frederick Günther (1837–1920), known as "The Candy Man," and "The P. T. Barnum of Chicago," Gunther was a German-American politician, caramel confectioner, chocolatier, numismatist, and art, antiquities and curiosities collector, who purchased many of the coins and artifacts now in the Chicago History Museum. Gunther and his family moved from Württemberg to Pennsylvania in 1842, then resettled in Peru, Illinois. In 1860, Gunther traveled south and landed a job with Bohlen, Wilson & Company, an ice distributor based in Memphis, Tennessee. When the American Civil War broke out, Gunther pledged to "stick by Memphis," and helped transport Confederate soldiers along the tributaries of the Mississippi River. He was captured by Union troops in 1862, but was released and traveled back to Illinois. During the later years of the war, he worked as a traveling salesman for a Chicago candy manufacturer, mainly selling goods throughout the southern states. After the Civil War, Gunther traveled to Europe to learn from the candy makers there. He started his own candy company "Gunther's Confectionery" in 1868, specializing in caramel, which he is credited with introducing to the United States, but the store at 125 South Clark Street was destroyed in the Chicago Fire in 1871. Besides the store and inventory lost in the fire, his newly formed collection of rare artifacts that included a copy of the Emancipation Proclamation were also destroyed. Afterwards he was able to reestablish himself in 1872 at 212 State Street, Chicago. Excerpt from: "Chicago by Day and Night. The Pleasure Seekers Guide" Published in 1892. Coming to the consideration of candy, confectionery, and fine fruits, the name of Charles Gunther first challenges attention. The Gunther store, 212 State street, is without doubt one of the sights of the city, containing, as it does, in addition to the regular stock-in-trade, the Gunther museum, which the proprietor has spent the best years of his life in collecting. The museum embraces curios of all sorts and some of them are of great value. The entire collection is worth a fabulous amount and there is a well-defined impression abroad that the owner intends to give it to the city some day. The furnishings of the Gunther store are magnificent. Tall mirrors reflect the customer's shape at every step. The rear part of two floors is dotted with tables, at which iced drinks, ice cream, and light luncheons are served. Whether with a view of purchase or not, the store will well repay a visit. Gunther's candy is advertised the country over, and the concern enjoys an enormous out-of-town trade. South Wabash Avenue and Harmon Court, Chicago, Illinois. He opened a soda parlor in the McVicker's Theater building. Among his confectionery treats were chocolate candy cigars he called La Flor de Gunther Cigars' de chocolate. His business began to take off and boomed by 1875. 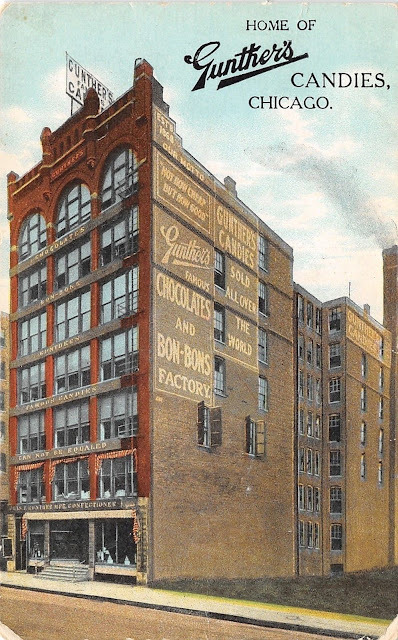 Renaming his business "Gunther's Candies Company" and built a factory with stores at 212 State Street, 78 Madison Street and another retail store in his factory at 1018 South Wabash Avenue. At that time he began decorating his candy store with antiques and artifacts, coins and curiosities. In 1877, he purchased the deathbed of Abraham Lincoln which he set up in his store. In 1893, Gunther claims to have introduced a new product line called "Cracker-Jack." Frederick William Rueckheim and his brother Louis claim to be the creators of Cracker Jack. Both claims involve introducing this product at the 1893 World's Fair. 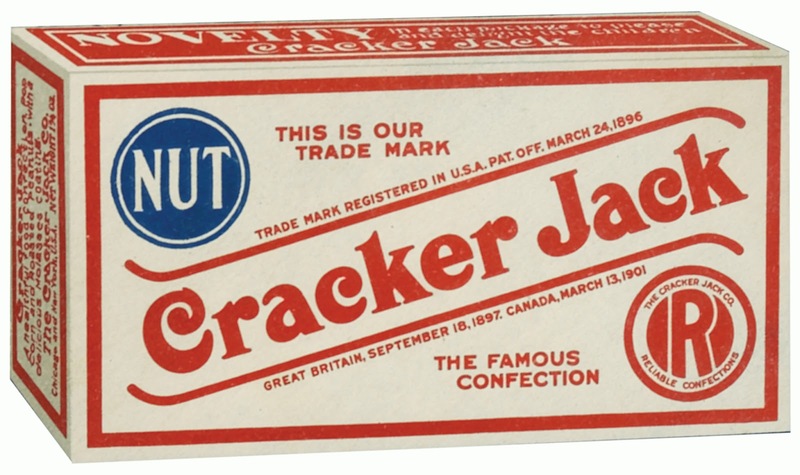 Whomever it was, Cracker-Jack is still popular today! 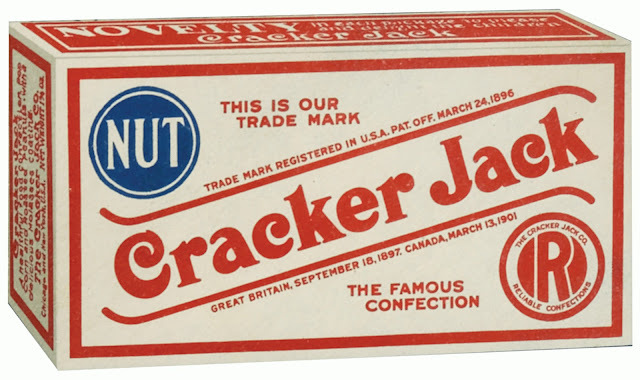 Original Packaging for Cracker Jack in 1893. As a frequent business traveler, he used his trips to the East and South to scour for items to add to his collection. As his reputation grew, many people, including Civil War veterans, anxious to turn what they had in storage into cash, would contact him in Chicago. With wealthy customers like socialite Bertha Palmer, Gunther amassed a fortune, and began purchasing historical artifacts to display in his factory. Many of the artifacts were from the Civil War, but there were also more unusual items in his collection, such as shrunken heads. Gunther was extremely naive and was easily bilked by flimflam artists who sold him fake relics and antiquities like the West Point Chain, the "Skin of the Serpent that Tempted Eve in the Garden of Eden", and the mummified remains of Moses' foster mother Bithiah. Gunther's collection continued to grow, and he eventually turned his sights to the Libby Prison, a former Confederate prison in Richmond, Virginia. Gunther purchased the structure and had it dismantled and shipped to Chicago where it was reassembled and converted into a museum to house Gunther's artifacts. 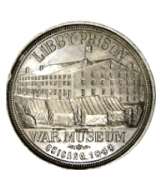 The Libby Prison War Museum, on Wabash Avenue between 14th and 16th Streets opened to the public in 1889 and hosted thousands of visitors within its first few months of existence. The infirmary of the prison was converted into the Lincoln Room, in which Gunther displayed Lincoln's deathbed, along with other artifacts associated with Lincoln's assassination. Although the Museum was in Chicago during the 1893 World's Columbian Exposition, it had no connection with the World's Fair and was never considered as a Fair attraction. Gunther later tried to purchase an Egyptian pyramid and Philadelphia's Independence Hall so he could bring them to Chicago, but he was unsuccessful. 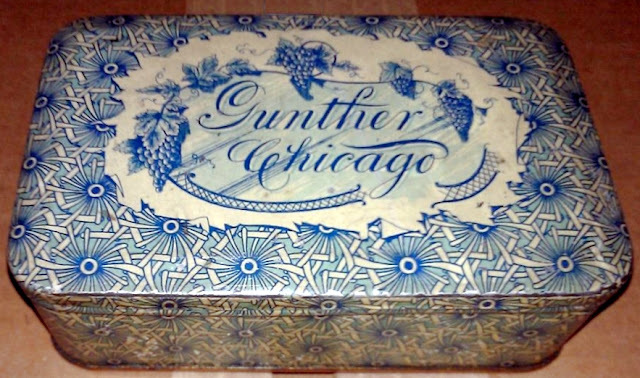 During the 1890s, Gunther became involved with Chicago's growing convention industry. 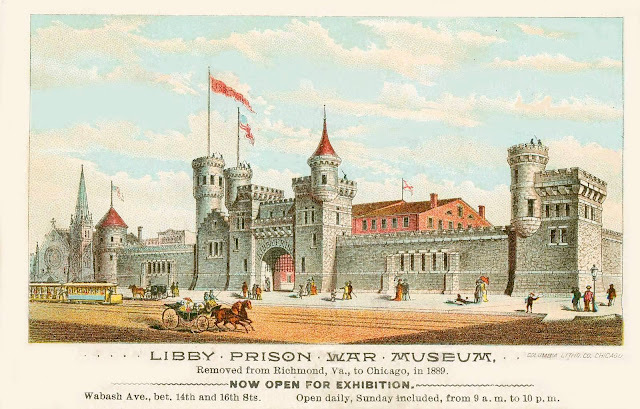 When the original Chicago Coliseum burned down in 1897, Gunther decided to build a new Coliseum on the site of the Libby Prison War Museum, since attendance at the museum was beginning to wane. He was the organizer of the Coliseum Company and its first president. He gave many paintings to the Y.M.C.A. hotel, and some of his finest works adorned the walls of the South Shore Country club, to which they had been loaned. 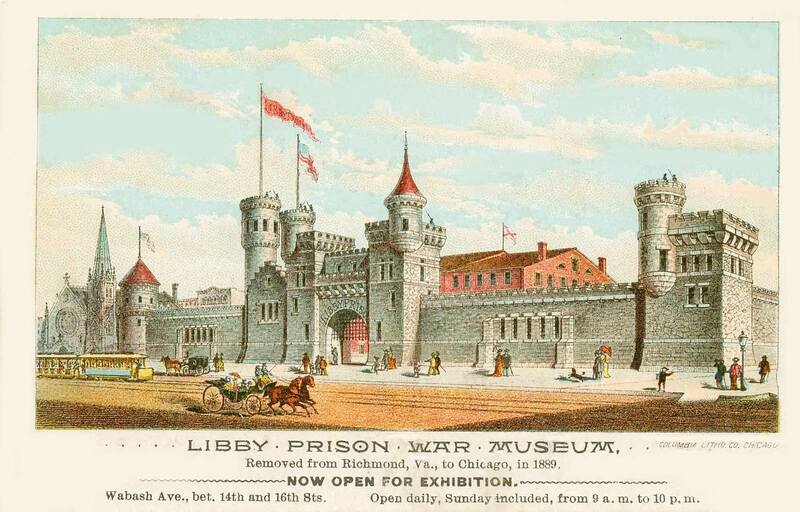 The prison building was disassembled, and parts of it were donated to the Chicago Historical Society, of which he was a director for twenty years. Gunther offered the rest of his collection to the city, with the hope that the city would build a museum for it in Garfield Park, but Illinois law prevented such a building from being constructed on public parkland. Gunther served two terms (1896–1900) as a Chicago alderman and one term (1901–1903) as city treasurer. 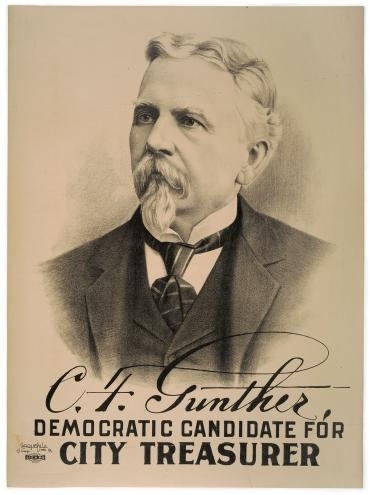 He was briefly a Gold Democrat and supported John McAuley Palmer for president in 1896. In 1908, Gunther sought the (regular) Democratic Party's nomination as an Illinois gubernatorial candidate, but lost to Adlai E. Stevenson I. He offered his entire art and historical collection to the city of Chicago, providing a fire-proof building was erected for it. The city made no appropriation and in his will he left it to his widow and son. Gunther was a thirty-third degree Mason, a member of Medinah Temple shrine. Other affiliations were the Academy of Sciences, of which he was a trustee; the Art institute. Geographical association, Chicago Association of Commerce, and Illinois Manufacturers association. His clubs were the Iroquois, Union League, Illinois Athletic, Aero, Germania, and Press club. Mr. Gunther was also a member of the Illinois State Historical Society. He died of pneumonia on February 10, 1920, at the age of 83, at his home 3601 South Michigan Avenue, Chicago, Illinois. His funeral was at his home. He was buried in the family mausoleum at Rose Hill Cemetery in Chicago, where his son Whitman (1872-1907) had been interred thirteen years earlier. 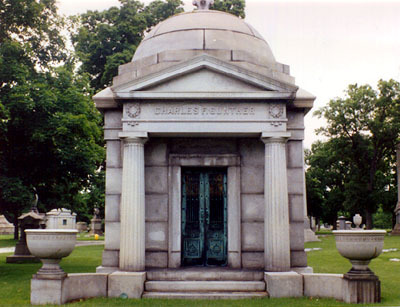 The Gunther family mausoleum at Rose Hill Cemetery in Chicago. After Gunther's death, the Chicago Historical Society purchased Gunther's vast collection soon after his death paying $21,321.20, far less than the originally agreed on price from the estate for $150,000. By that point Gunther's collection included Lincoln's deathbed, Lincoln's piano, Lincoln's carriage, Lincoln's dispatch to Gen. U.S. Grant saying, "Let the thing be pressed", a towel used to soak up Lincoln's blood, a shoe from John Wilkes Booth's horse, and other Lincoln memorabilia. Also in his vast collection was the table on which Gen. Robert E. Lee accepted Civil War surrender terms at Appomattox Court House. Shortly afterwards, the Chicago Historical Society began building a $1 million museum to display its expanded collection. The building opened in 1932 at Clark Street and North Avenue, and is currently known as the Chicago History Museum.